Mr. Ho Chin Soon talked mainly about the slowing, but not (yet?) 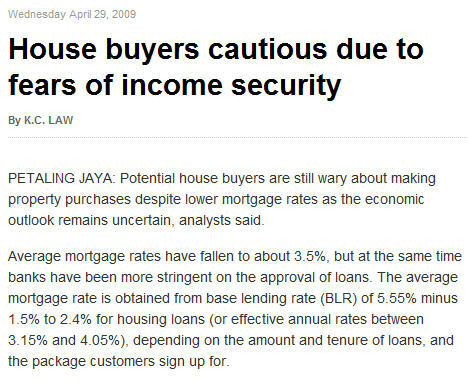 collapsing demand for houses. But what about supply? He did produce an interesting slide about oil prices last year. The sharp spike in oil prices brought with it steep increases in building materials. This was a bewildering time for developers, quantity surveyors and, yes, architects - we had never seen prices go haywire before. 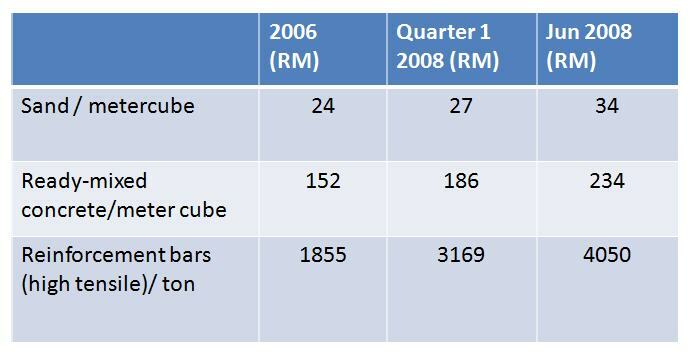 The problem of building costs going up hurts most when it costs more to put up a new building compared to just buying an existing one available in the market; at that point, the cost of building new houses exceeded the market price of existing houses, and there was no shortage of properties for sale as highlighted in Mr. Ho's talk. 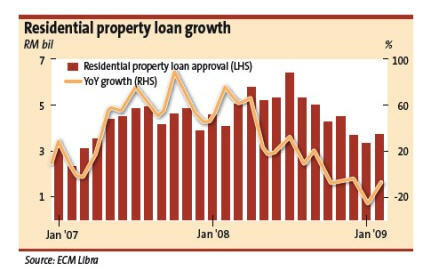 No surprise - projects for new housing slowed down or simply stalled. One year on, this problem has persisted although circumstances has changed. The price of building materials have come down, following the plummet in oil prices, but demand has dipped too. By my own (unprofessional economist) reckoning, the cost of building new houses is still above what similar properties, already built, can be bought for. It is generally true in Malaysia, and probably true all round the world. The overall picture is dire, but here and there, some are able to do better than others. 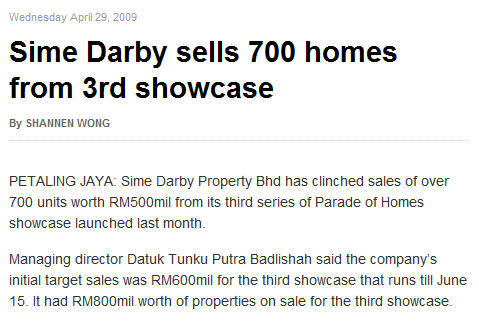 Sime Darby Properties launched anaggressive sales campaign. They started with clearing out their existing inventory of unsold properties, but from the latest reports, they are selling newly launched projects too. It helps that houses are not a commodity; savvy developers market them as highly differentiated products, very much unlike whatever else there is on the market. They compete on location, some design feature, brand name, and so on, not just on price. As someone promoting Tessellation Planning, it helps that the Honeycomb houses – the sextuplex, quadruplex and duplex units – are genuinely unlike anything else that is currently available on the market. We will soon see when the Maran and Nongchik projects finally get launched in a few months!